Bayer was founded in the year 1863 in Barmen in North Rhine Westphalia in the west of what was then the Kingdom of Prussia, today modern Germany. The company today has operations in over 55 countries across the world, including Australia, New Zealand, South Africa, Thailand, US, UK and Vietnam. So now let’s take a look at where the company began. Then we will focus into the subgroup of Bayer AG to do with pharmaceuticals, Bayer HealthCare. On August 1st 1863, a general partnership called “Friedr Bayer et comp” was founded in Barmen, which is now a district of the city Wuppertal in Germany. The founders were dye salesman Friedrich Bayer and a master dyer called Johann Friedrich Weskott. The two men began the company with the aim to manufacture and sell synthetic dyestuffs. Until then, natural dyes used were scarce and expensive, so this was an innovative way of working for the textile market. The production of dyes from coal-tar derivatives had only been invented a few years previously. Out of many dye factories built at this time, only few managed to survive over the long term with the potential to expand into the international company, and Bayer was one of them. In 1881, Bayer was transformed into a joint stock company called “Farbenfabriken vorm. Friedr. Bayer & Co”. The workforce grew from three staff in 1863 to over 300 by 1881 – an impressive growth by the company in its early years. Although dyestuffs were still the company’s largest division, the growth spurred new fields of business. 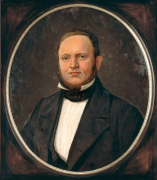 The establishment of a major research capability by Carl Duisberg during this time was of extreme importance for Bayer’s continuing development. Then the company built a scientific laboratory was built in Wuppertal-Elberfeld, which became Bayer’s headquarters from1878 until 1912. Both these steps into the research field gave rise to many intermediates, dyes and pharmaceuticals, including Heroin in 1895 (as an over-the-counter drug for pain relief) and Aspirin in 1899, which was developed by Felix Hoffman and became known as the “drug of the century”. Over the following decades, Bayer created additional foreign affiliated companies, in order to secure and expand Bayer’s position in important international markets, such as the United Kingdom, United States, Russia, Belgium and France. Shortly before World War 1, in 1913, 1000 of the 10000 people employed by Bayer worked outside of Germany. When the First World War began, Bayer became integrated into the war economy, producing war materials such as explosives and chemical weapons. But the war had devastating effects on Bayer’s growth. The company was largely cut off from its major export markets and because of this, sales of dyes and pharmaceuticals dropped. Bayer lost most of its foreign assets, too. Its Russian subsidiary was expropriated as a result of the Russian Revolution. In 1917, its US assets, including its patents and trademarks, were confiscated and auctioned off to competitors. However, thanks to constructive cooperation between management and the employees’ representatives, Bayer made it relatively smoothly through the uneasy years following the defeat in World War 1 from the November Revolution until the stabilisation of Germany in 1923/1924. Once the global economy stabilised in the mid-20s, the German dyestuffs industry was unable to regain its position in the old market. In order to remain competitive, Bayer merged with other companies belonging to the community of interests in 1925. The company transferred its assets to I.G. Farbenindustrie AG (I.G.) and was deleted from the commercial register as a company. 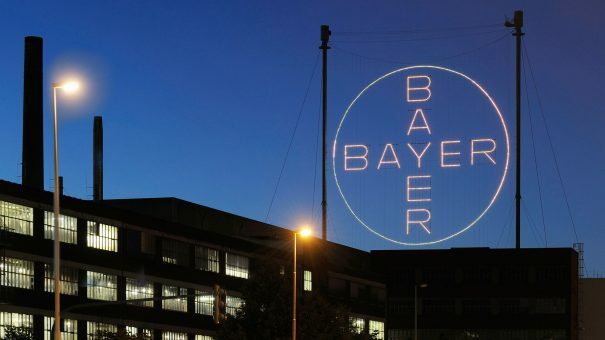 Yet the Bayer tradition lived on in the I.G.’s Lower Rhine operating consortium, which consisted of the Leverkusen, Dormagen and Elberfeld sites, as well as the Uerdingen site. Leverkusen also became the headquarters for the I.G.’s pharmaceutical sales association, and the Bayer Cross was used as the trademark for all of the I.G.’s pharmaceutical products. In the early 1930s, the Wupperal-Elberfeld facility continued its successful research into drugs to control malaria. Working together with Fritz Mietzsch and Joseph Klarer, Gerhard Domagk discovered the therapeutic effect of the sulphonamides. Prontosil was the name of the first commercially available antibacterial antibiotic. The discovery and development of this first sulfonamide drug was a key breakthrough in the chemotherapy of infectious diseases, for which Domagk received the Nobel Prize in 1939. When World War 2 broke out in 1939, the locations of the Lower Rhine consortium were among the sites of German industry that were considered “vital to the war”. More and more employees were drafted into the military services, however production requirements still grew. For this reason, foreign and forced laborers from the occupied countries of Europe were brought to work. For the Leverkusen site, the war ended on April 14, 1945, with the arrival of American troops. As Leverkusen was located in the British occupation zone, the British military government soon assumed complete control over the Lower Rhine sites. In November 1945, the Allied Forces confiscated the I.G. and the company was to be dissolved. However, the British allowed the man in charge of the Lower Rhine consortium, Ulrich Haberland, to remain in his position. In the years that followed, Haberland built the company back up in the successful Bayer tradition. A total of 12 new competitive companies were created off the back of the split I.G. under the Federal Republic of Germany. One of these companies was Farbenfabriken Bayer AG, which was newly established on December 19th 1951. Ten years later and Bayer AG had successfully infiltrated a new market: women’s contraception. The year 1960 was a turning point in the history of contraception in which the first “Pill” was approved in the USA – a year later, Bayer’s Anovlar was approved in Europe. A wake of social changes followed these approvals in Westernised countries in the late 1960s and a new, open attitude towards sexuality and the Pill became more popular. Today, over 60 million women worldwide use the Pill for contraception. Bayer began to focus again on expanding its international activities, focusing mainly on Western Europe and the United States. The company gained an important position in the US pharmaceuticals market in the 1970s, when it acquired Cutter Laboratories Inc. in 1974 and Miles Laboratories Inc. in 1978. The company also began to intensify its research and development efforts. Successful products started to emerge from Bayer’s research laboratories, including the cardiovascular drug Adalat and the antibiotic Ciprobay / Cipro. It was during the 70s when Bayer’s pharmaceuticals’ sales began to expand considerably. In regional terms, sales in North America and Asia / Pacific grew faster than average in this decade. By 1987, 78% of the Bayer Group’s sales were to customers outside of Germany, and 45% of its employees worked for foreign subsidiaries. Hermann Josef Strenger took over as Management Board Chairman in 1984 and under his leadership, Bayer acquired Hermann C. Starck GmbH, a key supplier of specialty metals and high-performance ceramics, in 1986. In 1988, when Bayer celebrated the 125th anniversary of its founding, sales amounted to roughly DM 40 billion and the total number of people worldwide employed by the company was over 165,000. 1994 was a big year for Bayer, because it was the year in which the company regained the rights to the company name “Bayer” in the United States. For the first time in 75 years, Bayer could operate in the US under its own name and using its own Bayer Cross corporate logo. This was under the leadership of Dr Manfred Schneider, who organised this milestone through the acquisition of the North American self-medication business of Sterling Winthrop. Continuing its growth, Bayer set up a third pharmaceutical research centre in Japan (the first was in Europe and the second in North America). To mark the 100th birthday of Aspirin on March 6th 1999, professional mountaineers wrapped Bayer’s former high-rise headquarters building in Leverkusen and transformed it into the world’s biggest Aspirin pack – the effort gained the company three entries in the Guinness Book of Records! 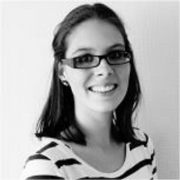 In 2001, Bayer introduced women’s contraceptive pill, Yasmin, to the market. It was marketed as a treatment for acne and severe premenstrual symptoms, in addition to its birth control benefits. In 2014, Bayer completed the acquisition of the Roche consumer health business, advancing to become one of the world’s top three suppliers of non-prescription medicines. 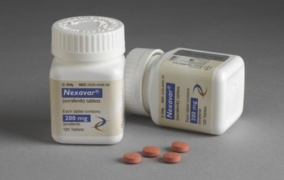 In 2005, the same year, the US FDA approved Nexavar (sorafenib), a drug for the treatment of advanced renal cell carcinoma, jointly developed by Bayer HealthCare and Onyx Pharmaceuticals. In March 2006, Bayer announced a public takeover offer for Schering AG, Berlin, Germany. In July, Bayer gained control of 92.4% of the approximately 191 million outstanding Schering shares. 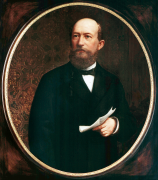 In December of the same year, Schering was officially renamed Bayer Schering Pharma. In 2007, an Extraordinary Stockholders’ Meeting of Bayer Schering Pharma resolved to affect a “squeeze-out” of the remaining minority stockholders. Bayer Schering Pharma, headquartered in Berlin, now operates together with Bayer’s existing Pharmaceuticals business as a division of the Bayer HealthCare subgroup. This was effective as of September 2008. The year 2010 celebrated fifty years of successful family planning with the pill: this innovative contraceptive was first given regulatory approval in 1960. Till this day, Bayer is a global market leader in the field of hormonal contraception. Bayer Schering Pharma became Bayer HealthCare Pharmaceuticals in 2011. In 2011, Bayer received FDA approval for Eylea, an eye medicine for the treatment of wet age-related macular degeneration. In 2012, sales of Bayer Healthcare totalled €18 billion, with an operating profit of €2.15 billion. The headquarters are still located in Leverkusen, Germany. Today, Bayer Healthcare concentrates on five big therapeutic groups: cardiovascular and blood diseases, oncological disease, ophthalmology, women’s healthcare and imaging techniques. However, Bayer has also been facing some tough challenges over the last few years – from the increasing pricing pressures affecting all pharmaceutical companies, to litigation surrounding its contraceptive pill Yasmin, to the rejection of its appeal to stop the Indian regulatory authorities from allowing generic drugmakers to create cheaper versions of its cancer drug, Nexavar.